Cambridge United vs Yeovil Town predictions as they meet in League Two on Saturday. With neither side in form, who will be able to claim a vital three points? Read on for our preview of the match and all our free betting tips below. We may only be approaching the half way point of the League Two season, but already there are plenty of sides who are currently nervously looking over their shoulders as they try and put enough points on the board to secure their spot in the Football League for next season. Two of those sides, Cambridge United and Yeovil Town, go head to head this weekend, and with neither side in good form it promises to be a tense affair. It has been a difficult season for the hosts and they go into this match having failed to win in their last five outings. In fact, with just one point coming from their previous four League Two matches, the U’s have slipped to the last remaining safe spot and they will know that with both Macclesfield and Notts County below them recently appointing a new manager, they should soon be hot on their heels. 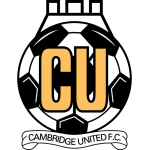 A major reason for the troubles Cambridge have found this season is due to their inability to find the back of the net, and this is shown perfectly by the fact that they average just 0.9 goals per game. 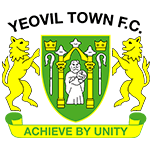 Making the trip to the Abby Stadium is a Yeovil Town side who have lost each of their previous four matches in all competition. The visitors have fared better than their hosts overall this term, but their form in the build up to this game has left plenty to be desired. Boss Darren Way knows that he has plenty of work to do for his side to improve at both ends of the pitch as Yeovil have conceded nine times in their last four matches whilst scoring just two goals. With neither side looking capable of earning three points at the moment, it is hard to make a case in either direction on the win-draw-win market. Given the lack of goals in both of these teams at the moment, we believe a far safer approach would be to back against a high scoring game. Therefore, backing there to be less than 2.5 goals scored looks to represent the best option for a decent return. Cambridge have conceded at least one goal in 80% of their home matches. Cambridge have scored 26% of their goals in the first 15 minutes. Yeovil have lost their last four matches. Yeovil have scored in 78% of their away matches. Yeovil have scored 62% of their goals away.